Find out more about how you and your students can get involved and help make a difference. Join prominent field researchers and other teachers who are passionate about engaging their students and communities. As an educator fellow, you'll spend one to two weeks on an Earthwatch Expedition alongside other teachers and develop your skills and understanding around environmental concerns. Research tasks vary with each project, and you’ll be trained on everything you need to know in the field. The goal of Teach Earth is to prepare you to return to your community with greater understanding and appreciation of the natural world. In Ecuador and Arizona, you'll be examining factors that affect interactions among plants, caterpillars, and their natural enemies. By comparing results from different sites, we can test hypotheses about the effects of climate on interactions between caterpillars and parasitoids. In Canada, you'll help uncover evidence of global warming – and might even spot a polar bear. 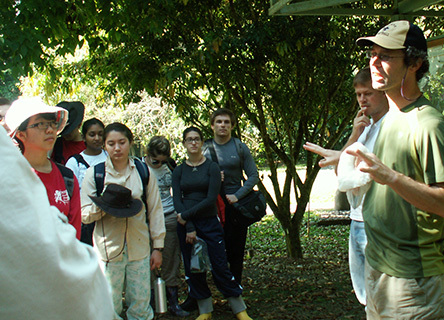 Teach Earth offers US teachers fully funded scientific research expeditions around the globe. 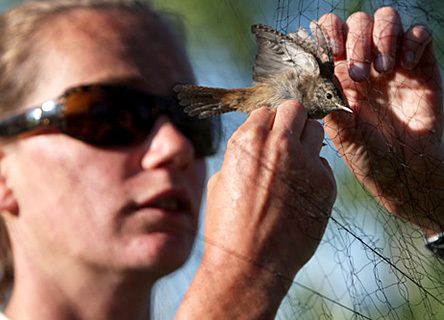 Educator fellowships are awarded through a competitive application process, including review by the Earthwatch Review Panel, composed of past fellows from around the country. Fellows are assigned to projects according to their interests, skills, and availability, project needs, and grant restrictions. We'll contact you if we have grant funding for which you are eligible and direct you to the online Educator Application. Applications are considered on the basis of available funding and application quality. If you’re not eligible for any of our fellowship grants, we’ll keep your form on file and notify you if and when we have funding for which you’re eligible. If you are committed to learning more about environmental issues, and engaging your students outside the classroom, Teach Earth is for you! Fellowships are typically awarded by the beginning of May each year, on a rolling basis until funding is exhausted. If you are selected as a fellowship recipient, an Earthwatch Program Coordinator will provide you with the information you will need to get into the field and what the program expects from you upon your return. Your fellowship will cover the full cost of your expedition, including meals, accommodations, research permits, equipment, and on-site transportation. Educator fellowships also provide a stipend to offset some out-of-pocket travel expenses to and from the expedition site. In return for your fellowship, Earthwatch asks that you help support its mission and ensure its renewed funding by completing a Volunteer Evaluation at the end of the expedition. We also ask you to provide a Field Report within 30 days after the end of the expedition, including excerpts from a personal journal, a thank-you letter to your funder, copies of any media coverage you have received from your participation, and a lesson/community plan. Take a peek at our curriculum ideas and lesson plans inspired by educators’ experiences on Earthwatch expeditions. After your expedition, you too will be inspired to bring your newfound knowledge back to the classroom. As an educator fellow, you'll work alongside fellow teachers on an Earthwatch Expedition. You are not eligible if you have previously received more than one Earthwatch fellowship or if you received a fellowship last year. Teachers work alongside fellow teachers. Teach Earth is all about genuine scientific research.